Last month, word broke that the NFL had tabbed Maroon 5 to perform at halftime of next year’s Super Bowl LIII. It was a perfectly safe choice for a league that tries not to wander off the beaten path, entertainment-wise. But was it the first choice? Or even the second choice? 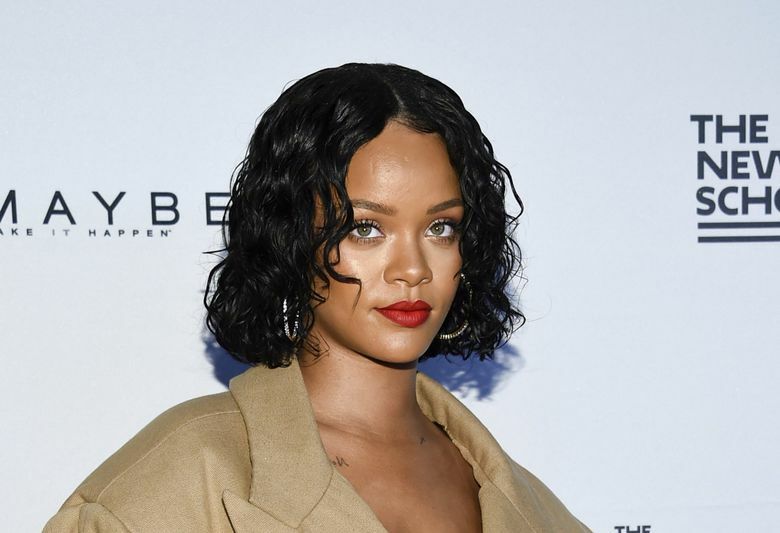 According to Us Weekly, the NFL and CBS – which is broadcasting the game – first approached megastar singer Rihanna to headline the Feb. 3 intermission in Atlanta, but the Barbadian turned down the league “because she supports Colin Kaepernick” and “because of the kneeling controversy,” an unnamed source told Us. Kaepernick, the former 49ers quarterback, was the first NFL player to take a knee during the playing of the national anthem. He hasn’t played since the final game of the 2016 regular season. “Entertainment Tonight” went even further, with a source telling it that Rihanna was “the front-runner” to perform and that a high-profile Super Bowl appearance would have synced up well with her plans for a new album (two new albums?) and a tour. “But she stuck to what’s right in her eyes,” the source said. Rihanna wasn’t alone in turning down the NFL, however. According to “ET,” the league also approached Pink, who battled through the flu to deliver a well-received performance of the national anthem before last season’s Super Bowl. But she also turned down the NFL, this time “because the negotiations took so long” (“ET” also says that the length of the talks was a factor in Rihanna’s decision). The NFL has yet to officially confirm the lineup for this season’s Super Bowl halftime show, though it didn’t knock down the Maroon 5 news when it was announced last month. Us says rapper Cardi B – who paired with Maroon 5 for its recent single, “Girls Like You,” which reached No. 2 on the Billboard Hot 100 chart – is being considered for a spot in the show, which usually features multiple acts.